Code-named Project Sunflower, Al Said was delivered in March to His Majesty Sultan Qaboos bin Said of Oman. Yacht-spotters worldwide were surprised when the nameboard was revealed, since they were convinced the yacht was going to be the new Kingdom 5KR (no. 26 in "The Power & Motoryacht 100"). 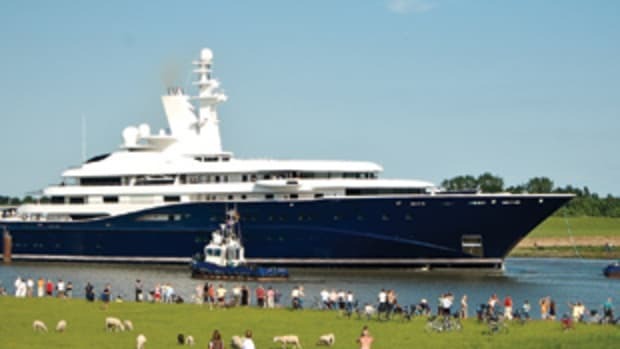 Al Said replaces a far smaller yacht that had been in use for 26 years, a 340-footer. 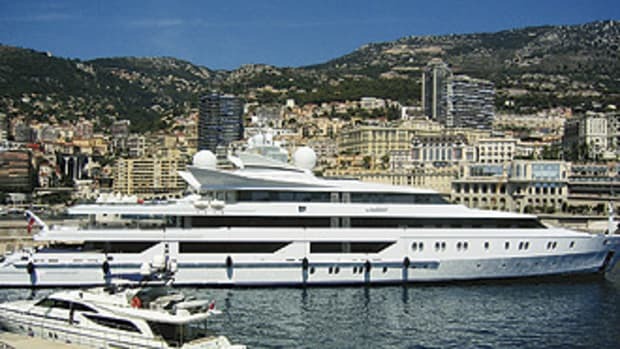 (The monarch donated that yacht to the ministry of tourism, which has her registered as Loaloat al Behar a passenger ship.) 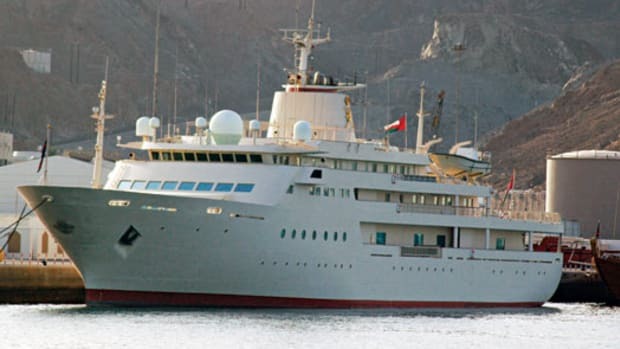 Though lips are sealed as to what the new Al Said features, naturally there&apos;s plenty of speculation; one member of an online forum about Omani life claims the yacht contains a concert hall large enough for a 50-piece orchestra. Whether that&apos;s true or not, aerial shots taken in Gibraltar show a helipad aft on one of the uppermost decks. And in keeping with most Middle Easterners&apos; preference for enclosed, air-conditioned spaces, there isn&apos;t much acreage devoted to alfresco areas.